Folks have been driving by the construction site on 3rd Avenue and Coeur d'Alene Street, and asking "what's going in there?" 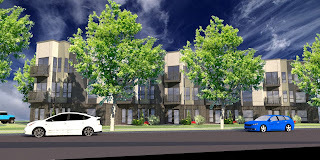 Well, it is a 21 unit, 3 story apartment building being developed by the property owners, Jason and Jessica Kettrick. 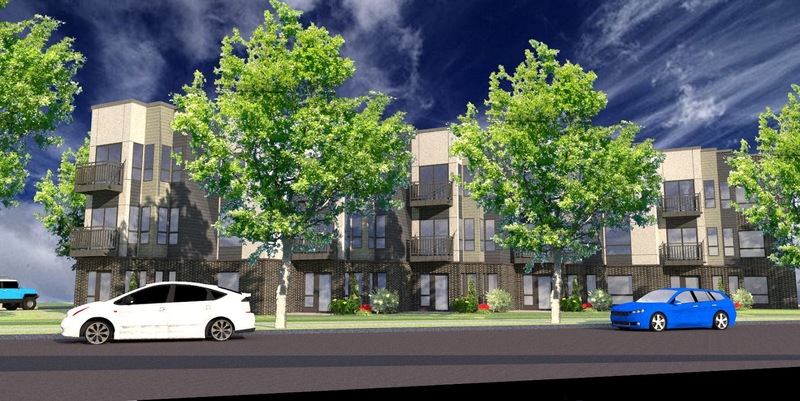 This is an artist's conceptual drawing of the proposed building, as seen from Coeur d'Alene Street.